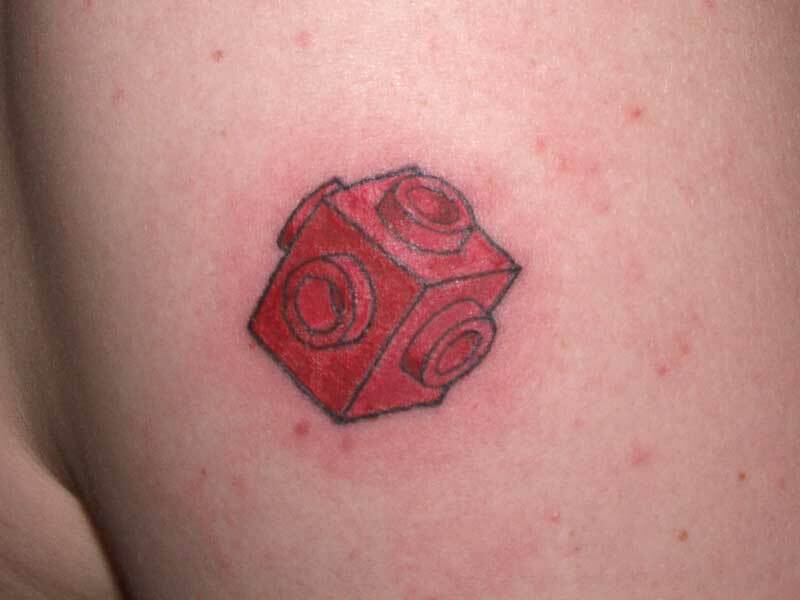 Tattoo that gave the Travis Brick its name. From Brickshelf Copyright held by Brickshelf user elkane. A Travis Brick is an element named after a Spacer, the late Travis Kunce, who had it tattooed on his arm. The brick is especially useful in SNOT techniques as it has studs on all but the bottom surface. This page was last modified 12:01, 26 February 2016 by Brickwiki user Claude Bombarde. Based on work by Brian Alano and Ted Godwin.